I’ve noted before that today really is an incredible time to be thinking about and learning from Dietrich Bonhoeffer, that pastor and teacher who from a life cut short over 70 years ago left us a profound vision of what it might mean to speak responsibly of ‘God’ and of ‘the world’ in the same breath, and to be Christian community in one of the most violent and unstable and disenchanted times in recent human history. Rather than seek to escape such realities, Bonhoeffer believed that to follow Jesus is to be thrown ever more deeply into them, into the darkness. He taught us that the first place to look for Christ is in hell, and that it is ‘only by living completely in this world that one learns to have faith’. It is only by ‘living unreservedly in life’s duties, problems, successes and failures, experiences and perplexities’ that, he said, we ‘throw ourselves completely into the arms of God’. And this means, for Bonhoeffer, that ministers of the gospel are ‘not to simply bandage the wounds of victims beneath the wheels of injustice’ but rather are called to ‘drive a spoke into the wheel itself’. Next semester, Whitley College will again host the Rev Dr Keith Clements, a leading international Bonhoeffer scholar, who will teach an intensive course on Bonhoeffer and his theology. This is a wonderful opportunity to learn about one of the twentieth century’s greatest and most courageous theological minds, and to wrestle with how some of his convictions might inform our own faithful witness in the world today. Cost: $300 for audit enrolments (normally $500). Discounted Rate available until Thursday 31 May. If we want to know how to get the better of stupidity, we must seek to understand, its nature. This much is certain, that it is in essence not an intellectual defect but a human one. There are human beings who are of remarkably agile intellect yet stupid, and others who are intellectually quite dull yet anything but stupid. We discover this to our surprise in particular situations. The impression one gains is not so much that stupidity is a congenital defect but that, under certain circumstances, people are made stupid or that they allow this to happen to them. We note further that people who have isolated themselves from others or who live in solitude manifest this defect less frequently than individuals or groups of people inclined or condemned to sociability. And so it would seem that stupidity is perhaps less a psychological than a sociological problem. It is a particular form of the impact of historical circumstances on human beings, a psychological concomitant of certain external conditions. Upon closer observation, it becomes apparent that every strong upsurge of power in the public sphere, be it of a political or a religious nature, infects a large part of humankind with stupidity. It would even seem that this is virtually a sociological-psychological law. The power of the one needs the stupidity of the other. The process at work here is not that particular human capacities, for instance, the intellect, suddenly atrophy or fail. Instead, it seems that under the overwhelming impact of rising power, humans are deprived of their inner independence and, more or less consciously, give up establishing an autonomous position toward the emerging circumstances. The fact that the stupid person is often stubborn must not blind us to the fact that he is not independent. In conversation with him, one virtually feels that one is dealing not at all with him as a person, but with slogans, catchwords, and the like that have taken possession of him. He is under a spell, blinded, misused, and abused in his very being. Having thus become a mindless tool, the stupid person will also be capable of any evil and at the same time incapable of seeing that it is evil. This is where the danger of diabolical misuse lurk, for it is this that can once and for all destroy human beings. Yet at this very point it becomes quite clear that only an act of liberation, not instruction, can overcome stupidity. Here we must come to terms with the fact that in most cases a genuine internal liberation becomes possible only when external liberation has preceded it. Until then we must abandon all attempts to convince the stupid person. This state of affairs explains why in such circumstances our attempts to know what “the people” really think are in vain and why, under these circumstances, this question is so irrelevant for the person who is thinking and acting responsibly. The word of the Bible that the fear of God is the beginning of wisdom declares that the internal liberation of human beings to live the responsible life before God is the only genuine way to overcome stupidity. But these thoughts about stupidity also offer consolation in that they utterly forbid us to consider the majority of people to be stupid in every circumstance. It really will depend on whether those in power expect more from peoples’ stupidity than from their inner independence and wisdom. The danger of allowing ourselves to be driven to contempt for humanity is very real. We know very well that we have no right to let this happen and that it would lead us into the most unfruitful relation to human beings. The following thoughts may protect us against this temptation: through contempt for humanity we fall victim precisely to our opponents’ chief errors. Whoever despises another human being will never be able to make anything of him. Nothing of what we despise in another is itself foreign to us. How often do we expect more of the other than what we ourselves are willing to accomplish. Why is it that we have hitherto thought with so little sobriety about the temptability and frailty of human beings? We must learn to regard human beings less in terms of what they do and neglect to do and more in terms of what they suffer. The only fruitful relation to human beings – particularly to the weak among them – is love, that is, the will to enter into and to keep community with them. God did not hold human beings in contempt but became human for their sake. It is one of the most astonishing experiences and also one of the most incontrovertible that evil – often in a surprisingly short span of time – proves itself to be stupid and impractical. That does not mean that punishment follows hard on the heels of each individual evil deed; what it does mean is that the suspension of God’s commandments on principle in the supposed interest of earthly self-preservation acts precisely against what this self-preservation seeks to accomplish. One can interpret in various ways this experience that has fallen to us. In any case, one thing has emerged that seems certain: in the common life of human beings, there are laws that are stronger than everything that believes it can supersede them, and that it is therefore not only wrong but unwise to disregard these laws. This helps us understand why Aristotelian-Thomistic ethics elevated wisdom to be one of the cardinal virtues. Wisdom and stupidity are not ethically indifferent, as the neo-Protestant ethics of conscience wanted us to believe. In the fullness of the concrete situation and in the possibilities it offers, the wise person discerns the impassable limits that are imposed on every action by the abiding laws of human communal life. In this discernment the wise person acts well and the good person acts wisely. There is clearly no historically significant action that does not trespass ever again against the limits set by those laws. But it makes a decisive difference whether such trespasses against the established limit are viewed as their abolishment in principle and hence presented as a law of its own kind, or whether one is conscious that such trespassing is perhaps an unavoidable guilt that has its justification only in that law and limit being reinstated and honored as quickly as possible. It is not necessarily hypocrisy when the aim of political action is said to be the establishment of justice and not simply self-preservation. The world is, in fact, so ordered that the fundamental honoring of life’s basic laws and rights at the same time best serves self-preservation, and that these laws tolerate a very brief, singular, and, in the individual case, necessary trespass against them. But those laws will sooner or later – and with irresistible force – strike dead those who turn necessity into a principle and as a consequence set up a law of their own alongside them. History’s immanent justice rewards and punishes the deed only, but the eternal justice of God tries and judges the hearts. I believe that God can and will let good come out of everything, even the greatest evil. For that to happen, God needs human beings who let everything work out for the best. I believe that in every moment of distress God will give us as much strength to resist as we need. But it is not given to us in advance, lest we rely on ourselves and not on God alone. In such faith all fear of the future should be overcome. I believe that even our mistakes and shortcomings are not in vain and that it is no more difficult for God to deal with them than with our supposedly good deeds. I believe that God is no timeless fate but waits for and responds to sincere prayer and responsible actions. Few have been spared the experience of being betrayed. The figure of Judas, once so incomprehensible, is hardly strange to us. The air in which we live is so poisoned with mistrust that we almost die from it. But where we broke through the layer of mistrust, we were allowed to experience a trust hitherto utterly undreamed of. There, where we trust, we have learned to place our lives in the hands of others; contrary to all the ambiguities in which our acts and lives must exist, we have learned to trust without reserve. We now know that one can truly live and work only in such trust, which is always a venture but one gladly affirmed. We know that to sow and to nourish mistrust is one of the most reprehensible things and that, instead, trust is to be strengthened and advanced wherever possible. For us trust will be one of the greatest, rarest, and most cheering gifts bestowed by the life we humans live in common, and yet it always emerges only against the dark background of a necessary mistrust. We have learned to commit our lives on no account into the hands of the mean but without reserve into the hands of the trustworthy. – Dietrich Bonhoeffer, Letters and Papers from Prison, ed. John W. de Gruchy, trans. Isabel Best, et al., vol. 8, Dietrich Bonhoeffer Works (Minneapolis, MN: Fortress Press, 2010), 43–47. Note: If you are a fellow blogger and/or tweeter/G+er/facebooker, please consider helping to spread the word about these exciting events. Please feel free too to use the images (jpegs) that I have uploaded here. Frau Karoline Brake sat upright on the park bench, her eyes lost in the red splendor of blossoms and in the dark green foliage. A few brimstone butterflies fluttered in the hushed stillness of shimmering sunlight. The birds’ soft rustling in the hushes, their voices now almost silenced by the fire of the sun climbing toward noon, the chirping of crickets, the mosquitoes’ fine, bright hum – all these sounds reached her ear, penetrating the stillness. Feeling happy and profoundly thankful, she breathed in the fullness of the summer air. How could one argue with that? To distinguish between original Christianity and the church today was really a feeble attempt to justify it. After all, what mattered was simply whether the Christianity in which Frau Brake had grown up and lived her life still existed today, and whether or not it lives in its current representatives. Every bad sermon was another nail in the coffin of the Christian faith. It could no longer be denied that here, in this suburb in any event, hot air had taken the place of God’s Word. Frau Karoline Brake no longer saw the bushes in full bloom; she could no longer feel the pleasure of the warm July sun. Instead she saw her children and grandchildren before her mind’s eye and uttered a quiet “Oh, well!” In her voice was a little amazement about the ways of the world, a little worry about her own inability to change them, but also a good bit of that calm assurance with which older people entrust the future to hands stronger than their own. But, as if she had already let herself go too far with this little sigh, Frau Karoline straightened her body with a quick, rather indignant jerk, stood up, and strode resolutely through the park to the street that led to her home. No, she was not the kind who gave up easily. You could tell from the way she walked that she was making decisions as she went along. She would see that this old windbag of a preacher left this pulpit, or that a second pastor, a preacher of the word of God, would be called to the parish. She rejected the idea of speaking to the windbag again. She had made several attempts, but had been met with nothing but vain defensiveness and hollow officiousness. In fact, she had felt the pastor avoiding her glance since these visits, and she had heard by the grapevine that he had thwarted her reelection to the parish council [Gemeindekirchenrat]. Some said he emphasized that she must be spared because of her age; others said he thought her strange. He even went so far with some as to accuse her of intolerable presumption. There was no doubt about it; he was afraid of her because she saw through him. Despite these events she had continued to go to his church every Sunday, even when she had long since given up hope of ever hearing the word of God from him. She had taken this humiliation upon herself as a salutary discipline. But in the end she had had enough. It wasn’t so much for her own sake; she had learned through the years to ignore the talk and to focus on the few words which contained truth. She could have continued this way for the rest of her life. But more important things were at stake. The congregation, the whole town, her own family was deprived of the word of God and that meant that their whole life must sooner or later lose its center. This could remain hidden for a while yet; memory and tradition could postpone complete disintegration for a while yet. But her grandchildren’s generation would need to find new ways of its own, and several things these young people had said had led their grandmother to recognize the first signs of protest, even of revolt. It was not the young people’s fault if things were as they were. Rather, the older people let things take their course so unperceptively, without insight or concern. That was the worst thing about it. Frau Karoline Brake had asked herself tacitly whether it could be God’s will to bring judgment over this generation by withdrawing God’s word from them. But even if it were so, she told herself, God would also want people to resist [widersetzen] this judgment, to take God at his word and not let him go until he blessed them. But why was she so alone with her ideas and opinions? Why did hardly anyone who had been in church today, except the old sexton, notice that all they had heard were hollow phrases and cheap clichés? Why did the educated, of all people, fail so completely in their discernment? To be sure, they hardly ever went to church, but when they had to attend a baptism or wedding they always found the “speech” [Rede], as they called the sermon, very lovely, very artistic, very modern, very relevant. 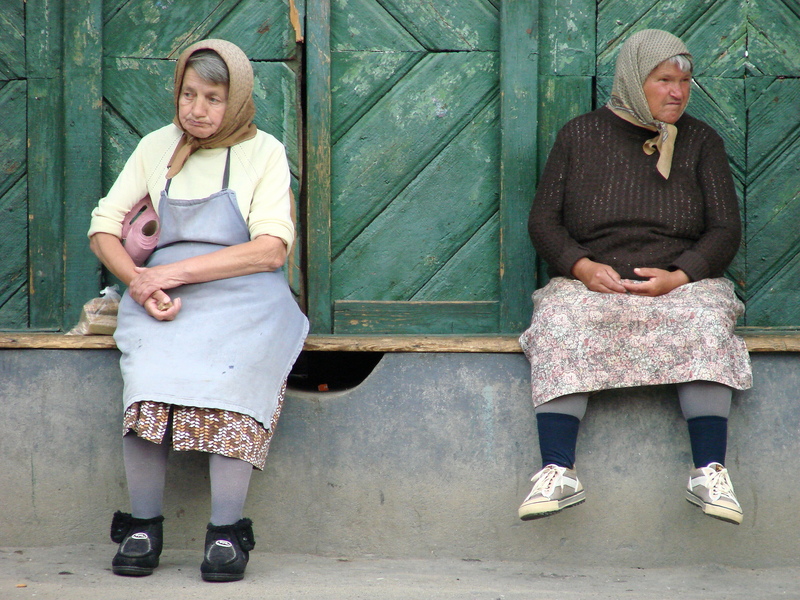 The old woman shook her head dejectedly and was totally lost in her thoughts when she heard a voice behind her. “Good morning, my dear Frau Bürgermeister, hasn’t the dear Lord blessed us with another beautiful day?” It was the neighbor, Direktor Warmblut’s widow, who was also walking home from church. She had already greeted two or three other women from the neighborhood on their way home and was now hurrying after Frau Karoline Brake to reach her before they arrived at their houses. It wasn’t easy for this short, rather plump woman to catch up to her neighbor, who was ten years her senior. Now she ran breathless with a shiny, red face beside the agile and stately figure, who presented a rare picture of moderation and dignity in her gray dress, gray silk parasol, gray hair, and the dry gray skin of her intelligent face. – Rowan Williams, The Poems of Rowan Williams (Grand Rapids: Wm. B. Eerdmans, 2004), 31. A few Wednesdays ago, I was exploring the vibrant and crowded city of Mumbai. With a population of over 20 million, Mumbai is India’s most populous city, and the fourth most populous in the world. It’s a city of colour, of noise, and of enormous energy. There were many memorable experiences: simply navigating my way across the road, for example, or holding my breath while praying for life at the rear of a speeding and bald-tyred rickshaw while the driver checked messages on his cell phone, or fighting to get my graceful frame on and then off a moving second-class train carriage – moving, because that’s the only way you have anything of a skerrick of a chance of getting on or off the train in the first place. I’ve never seen so many people pressed into one space. 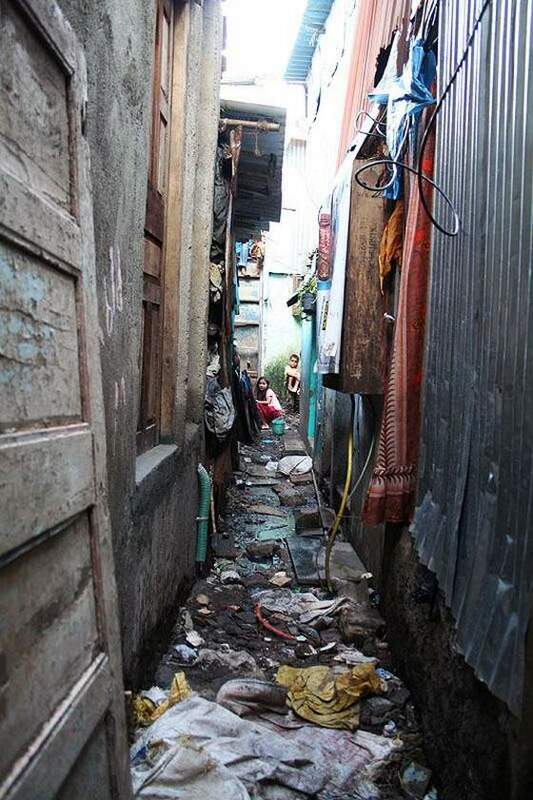 Also crowded though, and more violently etched on my memory, is the kilometres and kilometres of Mumbai slums. As with some of the places I visited and stayed in Burma, it is impossible to put this image into words. Of course, one of the ever-present dangers in theology attends our perpetual and inescapably-inadequate attempts to find words for everything, especially for God, as if by writing or speaking about things, or about God, we can somehow harbour control over, or a sense of distance from, them. But I digress. That Wednesday was also the first time in my life when I encountered someone who seriously tried to sell me some children. In fact, I was offered 3 children for 900 rupees, which is 200 rupees more than I had just paid for a scarf for my partner. These small children – they can’t have been older than 5 or 6 – were standing around barefoot on what was literally a small sea of broken glass, mostly light bulbs it seems, where they were attempting to retrieve small pieces of metal and other parts that could then be sold. A kid’s gotta live. And I found myself hearing again Rowan Williams’ words, that God ‘will come, will come/will come like crying in the night/like blood, like breaking/as the earth writhes to toss him free/He will come like child‘. It was only a few days later when, in Mangalore, some 900 kilometres away, I had the privilege to share a meal with Rev Dr Manohar Chandra Prasad who serves as president of the Dalit Christian Federation in Karnataka, and as bishop of the Church of South India. Not only did he generously give me a short but utterly-fascinating course in Dalit politics, hierarchy, hermeneutics, and history, but he also spoke to me of God’s plan for the liberation of all oppressed people’s via God’s action of becoming incarnate, not as a one-off act but rather as a continual act of God’s becoming among us. 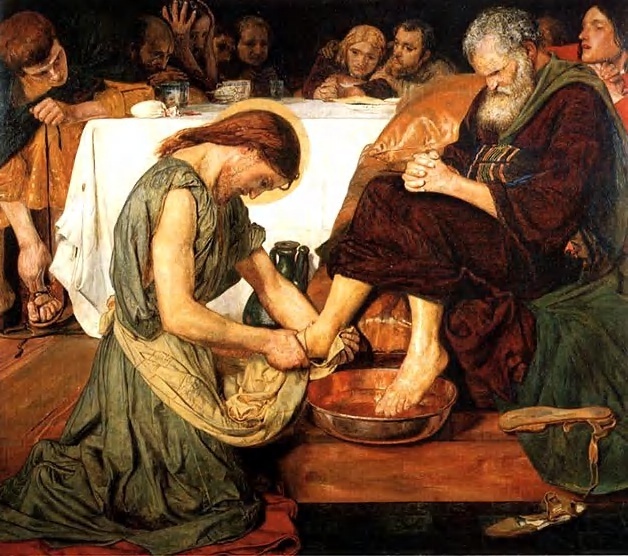 He also spoke of God identifying himself with the ‘least of us’, taking up the exploitation and oppression into his own body, and becoming the first among the oppressed and the marginalised. In The Pseudonyms of God, a book penned against the backdrop of the Vietnam War, Robert McAfee Brown invites us to imagine finding ourselves in a place where we are waiting for some tremendous manifestation of God’s activity. He invites us to imagine a situation where we have heard – or thought we had heard – a promise that God would intervene in our situation, and that it was now clear that the time was at hand. Where would we look for God? We must look for signs of the Servant-God’s presence among those who serve. Numbered among the world’s neglected and forgotten castes, we must expect to hear the echo of God’s voice among those who are oppressed. The pieta-like image on the left recalls that since 800 million of the planet’s people suffer from hunger and malnutrition, we might well expect that God’s availability is made tangible in loaves and fishes, rice and safe drinking water. Since God’s identification with the world involves God’s becoming creaturely, perhaps we ought look for God not (only?) in ‘holy’ places or by means of ‘holy’ words, but also in the very common and ordinary things of life, in the well-over 500 million people living in what the World Bank has called ‘absolute poverty’. Are these not those gathered up in the one great movement of divine emptying and filling? ‘We will not be surprised to discover’, Brown writes, ‘that [God] suffered also, nor will we flinch when Bonhoeffer pronounces the initially disturbing words, “Only the suffering God can help,” even though it is probably the ultimate in the pseudonymous activity of God that he could be acquainted with grief’ (p. 86). Bonhoeffer reminds us that in the economy of grace, Jesus is God’s grand pseudonym, the supreme occurrence of God acting in ways contrary to our expectation. And so if we miss God’s presence in the world, it will not be because God is absent. It will be because we have been looking in the wrong places. I cannot do so alone. In me it is dark, but with you there is light. I am lonely, but do not abandon me. I do not understand your ways, but you know [the] right way for me. Praise and thanks be to you for the quiet of the night. Praise and thanks be to you for the new day. Praise and thanks be to you for all your goodness and faithfulness in my life thus far. now let me also accept hardship from your hand. You make all things serve your children for the best. you were poor and miserable, imprisoned and abandoned as I am. you want me to recognize you and turn back to you. Lord, I hear your call and follow. that saves me from despair and vice. that frees me from fear and despondency. Teach me to discern Jesus Christ and to do his will. this day belongs to you. My time is in your hands. you know me and all my ways and actions. and in the world to come with the crown of righteousness. who in this house perform their difficult duty. that I can give account before [you] and others. Lord, whatever this day may bring – your name be praised. – Bonhoeffer, Letters and Papers from Prison, pp. 94–96. I do not, of course, want to foster the impression that the looking (or groping; see Acts 17.27) for God is solely, or even primarily, a human activity. Even in prayer, the prime mover is always God. As I have written elsewhere, it is principally God and not us who is on the prowl, awaiting God’s own time to enact the ‘terrible death leap and single blow’ upon us. To be found by God is to be made love’s victim. 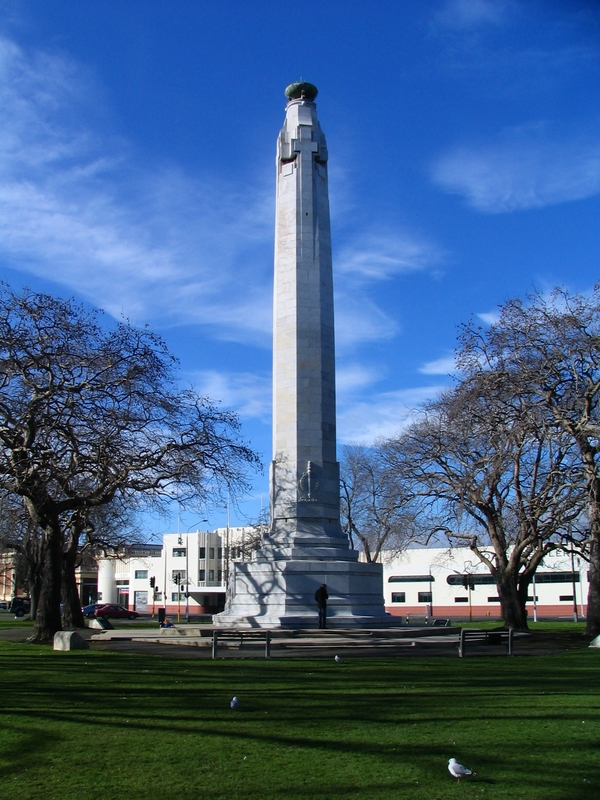 ‘Never shall I forget that night, the first night in camp, which has turned my life into one long night, seven times cursed and seven times sealed. Never shall I forget that smoke. Never shall I forget the little faces of the children, whose bodies I saw turned into wreaths of smoke beneath a silent blue sky. Never shall I forget that nocturnal silence which deprived me, for all eternity, of the desire to live. Never shall I forget those moments which murdered my God and my soul and turned my dreams to dust. Never shall I forget these things, even if I am condemned to live as long as God Himself. Never’. (Elie Wiesel. Night, 45). So penned Elie Wiesel in the moving record of his childhood in the death camps of Auschwitz and Buchenwald. For Wiesel, as for countless others – both inside and outside the camps – the systematic extermination of millions of human beings – whether Jews, political activists, homosexuals, or others – meant the death of faith and of God. In fact, as John de Gruchy perceptively notes in his Theology and Ministry in Context and Crisis: A South African Perspective, ‘suffering is especially a problem for the person who believes, or who wants to believe in God. Yet, paradoxically, the problem can only be handled from the perspective of faith’ (p. 102). There can be no real argument that ‘suffering is built into the fabric of human existence’ (Ibid., p. 97), and that questions of suffering pose the most real and existentially-alive challenge to belief in God. Suffering, the kind of suffering that ‘plucks the tongue from the head and the voice from the heart’ (Daniel Berrigan in Hans-Ruedi Weber, On a Friday Noon: Meditations Under the Cross, p. 28), is both a challenge and opportunity for Christian belief as well as for pastoral ministry because it is held to demonstrate the logical incoherence of Christianity. One of the most influential novels of last century was The Plague (1947) by the French-Algerian author, philosopher, and journalist Albert Camus (1913–1960). The Plague recalls a plague (oddly enough) which is causing untold suffering and death, underscoring the universal condition of humankind. Dr Reuss, the main character, a compassionate physician, says at one point, ‘Since … the world is shaped by death mightn’t it be better for God if we refuse to believe in Him and struggle with all our might against death, without raising our eyes toward the heaven where He sits in silence?’ (p. 128.). Elsewhere there is a scene where a priest, an unbeliever and the doctor surround the bed of a little boy who is dying. He suffers in pain. The priest asks God for help: ‘My God, spare this child’ (p. 217). The boy dies. 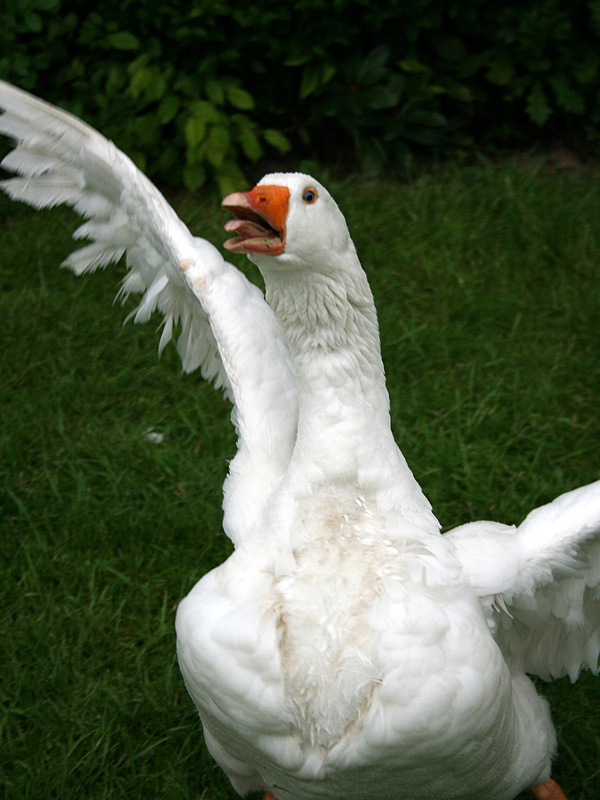 Later the priest declares, ‘That sort of thing is revolting because it passes our human understanding. But perhaps we should love what we cannot understand’. The doctor responds: ‘“No, Father. I’ve a very different idea of love. And until my dying day I shall refuse to love a scheme of things in which children are put to torture”’ (p. 218). ‘The historian Jeffrey Burton Russell asks, ‘What kind of God is this? Any decent religion must face the question squarely, and no answer is credible that cannot be given in the presence of dying children’. Can one propose a God who is partly evil? Elie Wiesel, who was in Auschwitz as a child, suggests that perhaps God has ‘retracted himself’ in the matter of evil. Wiesel has written, ‘God is in exile, but every individual, if he strives hard enough, can redeem mankind, and even God himself’’. And Martin Buber, in On Judaism, asks, ‘How is life with God still possible in a time in which there is an Auschwitz?’ He acknowledges that one might still ‘believe in’ a God who permitted the Shoah to happen, but he questions the possibility of hearing God’s word, let alone entering into an I-Thou relationship with God: ‘Can one still hear His word? 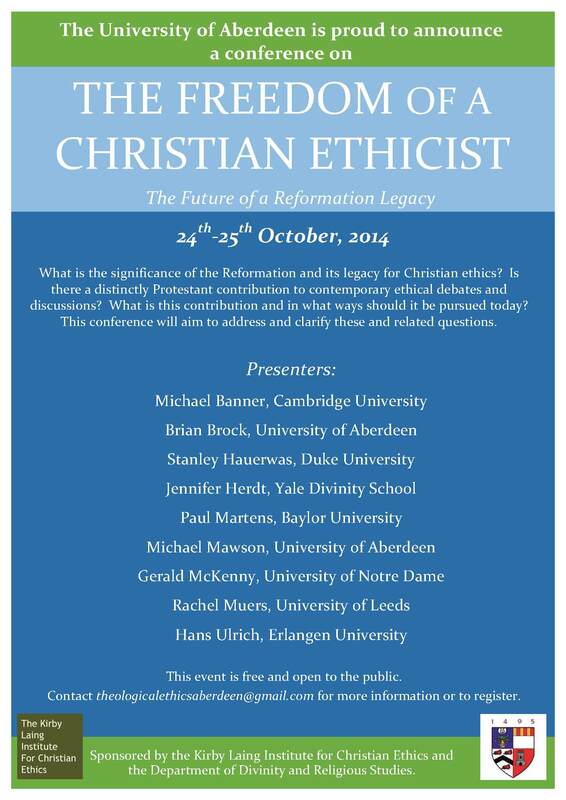 Can one still, as an individual and as a people, enter at all into a dialogical relationship with Him? Dare we recommend to the survivors of Auschwitz, the Job of the gas chambers: “Give thanks unto the Lord, for He is good; for His mercy endureth forever”?’ (p. 224). And we could go on, citing proposed responses from Epicures, from David Hume, from Gottfried Leibniz, from John Stuart Mill, from Richard Dawkins, from C.S. Lewis, from Thomas Aquinas, from David Bentley Hart, and from others. But the intro to this post has been long enough to introduce the point that one of the surprising features of life for many when they enter the ministry is confrontation with grief and suffering of immense depth. The pastor dare not trot out glib answers which only increase the suffering and betray her or his lack of understanding. But does this mean that pastors can only, and/or must, remain silent? Yes and No. 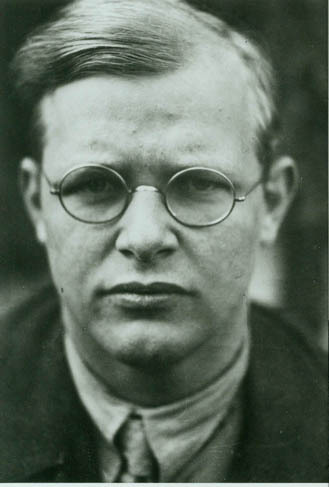 Enter one qualified to help pastors out at this point – the Lutheran pastor/theologian Dietrich Bonhoeffer (1906–1945). And I want to draw here upon John S. Conway’s fine essay, ‘A Meditation upon Bonhoeffer’s Last Writings from Prison’ in Glaube – Freiheit – Diktatur in Europa und den USA: Festschrift für Gerhard Besier zum 60. Geburtstag (ed. Katarzyna Stokłosa and Andrea Strübind; Göttingen: Vandenhoeck & Ruprecht, 2007), 235–44. that thou hast promised, the healing and the cure. and all our life be dedicate to thine. Thou canst illumine even our darkest night. their universal pæan [song of triumph], in thy praise. boldly we’ll face the future, be it what may. These seven short verses bespeak of Bonhoeffer’s trust in God’s enduring and comforting presence during what was the sixth Christmas season of the war and a time of impending and overwhelming disaster. By this time, Bonhoeffer had already been in Tegel prison for nineteen months, mainly in Cell 92. He had been arrested in April 1943 on suspicion of being involved in smuggling Jewish refugees into Switzerland. The investigations had dragged on without resolution for a year and a half. But then in October 1944 he had been transferred to the far more ominous Interrogation Centre of the Gestapo’s main headquarters in downtown Berlin. He now faced the even more severe charges of abetting the conspiracy which had unsuccessfully attempted to assassinate Adolf Hitler a few months earlier. He would likely be arraigned before the Chief Justice of the People’s Court, Roland Freisler, whose vindictiveness had already sentenced thousands to death for treason against the Reich, and was to do the same to Dietrich’s brother, Klaus. In the meantime the Gestapo was relentlessly trying to entrap him into incriminating confessions about his friends and relatives. What kind of a faith could withstand such ruthless pressures and still witness to God’s powers of goodness? All men do so, Christian and unbelieving. Christians stand by God in his hour of grieving. This poem arose out of Bonhoeffer’s bible readings and meditations on the subject of suffering. He was certainly not just preoccupied with his own fate, but rather overwhelmed by the lethal prospects which all his friends in the resistance movement now faced. He knew enough about personal anguish to give authenticity to his statements on suffering. His purpose was to clarify his understanding of a theologia crucis, a theology of the cross. The poem opens with the universal human desire for relief, for removal of pain, for cessation of suffering, for an end to hunger, for the cleansing of a guilty conscience, for deliverance from death. This makes their religion a form of spiritual pharmacy. But all too often these prayers are not answered. By 1944 the mass murders seemed unstoppable. And Bonhoeffer interpreted the events as Christ being tortured and crucified anew but this time on Nazi Golgothas. Why did God not respond to such heartfelt petitions? Why does it seem that heaven is silent? Bonhoeffer argues that to be a Christian is to stand by Christ in his hour of grieving, on the cross, in jail, in the bombed-out streets and concentration camps. This is a reversal of what ‘religious’ people typically expect. 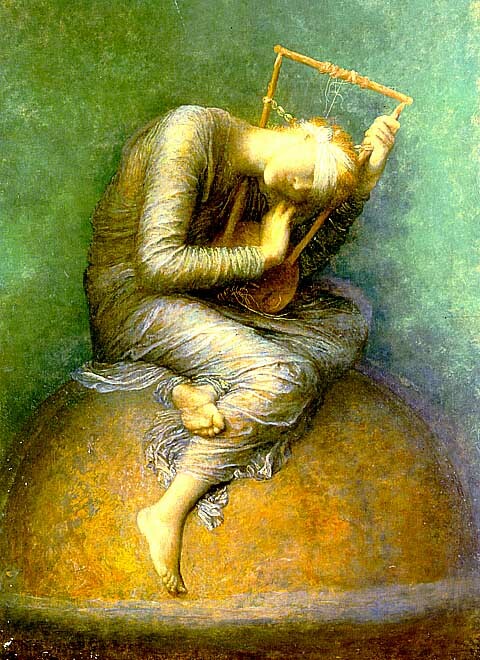 God grieves, then, because of the rebellion of his people; God grieves because of the broken relationship between himself and his creation; God grieves because of the inevitable consequences of human sin and rebellion; God grieves because he remembers what might have been; God grieves because love always hopes! Moltmann talks about the way that God is ‘injured by disobedience and suffers in the people’ who deserve their suffering, but what of the victims of their injustice? What of those who because of the faithlessness of the people of God find it difficult to believe in God? And de Gruchy helpfully reminds us that the suffering of God described so poignantly and powerfully in the Old Testament is not just grief caused by a sinful and disobedient people; it is also suffering with and on behalf of those who suffer as a result of Israel’s sin – the poor, the oppressed, the hungry, the lowly and innocent ones (see p. 113). And he cites from Terence Fretheim’s The Suffering of God: An Old Testament Perspective, p. 108: ‘The human cry becomes God’s cry, God takes up the human cry and makes it God’s own’. This is precisely what Bonhoeffer, in Discipleship, called God’s ‘hour of grieving’, an hour in which and a grieving of such that God invites his people to participate. The church is not simply the community of Christ which suffers vicariously for others. It is also itself the suffering church and itself the victim of oppression. The depths of divine suffering are reached in the cross where God finds himself ‘whelmed under weight of the wicked, the weak, the dead’. ‘This is what distinguishes Christians from pagans. Jesus asked in Gethsemane, ‘Could you not watch with me one hour?’. That is a reversal of what the religious man expects from God. Man is summoned to share in God’s sufferings at the hands of a godless world. Here we are reminded of what Bonhoeffer explores more fully in Discipleship, namely that in his total identification with humanity in incarnation, and then by calling us into fellowship and discipleship with himself, Christ bids us to ‘come and die’. ‘The cross means sharing the suffering of Christ to the last and to the fullest. Only a man thus totally committed in discipleship can experience the meaning of the cross. The cross is there, right from the beginning, he has only got to pick it up: there is no need for him to go out and look for a cross for himself, no need for him to deliberately run after suffering. Jesus says that every Christian has his own cross waiting for him, a cross destined and appointed by God. Each must endure his allotted share of suffering and rejection. But each has a different share: some God deems worthy of the highest form of suffering, and gives them the grace of martyrdom, while others he does not allow to be tempted above that they are able to bear. But it is the one and the same cross in every case. The cross is laid on every Christian. The first Christ-suffering which every man must experience is the call to abandon the attachments of this world. It is that dying of the old man which is the result of his encounter with Christ. As we embark upon discipleship we surrender ourselves to Christ in union with his death – we give over our lives to death. Thus it begins; the cross is not the terrible end to an otherwise godfearing and happy life, but it meets us at the beginning of our communion with Christ. When Christ calls a man, he bids him come and die. It may be a death like that of the first disciples who had to leave home and work to follow him, or it may be a death like Luther’s, who had to leave the monastery and go out into the world. But is the same death every time – death in Jesus Christ, the death of the old man at his call. Jesus’ summons to the rich young man was calling him to die, because only the man who is dead to his own will can follow Christ. In fact every command of Jesus is a call to die, with all our affections and lusts. But we do not want to die, and therefore Jesus Christ and his call are necessarily our death as well as our life. The call to discipleship, the baptism in the name of Jesus Christ means both death and life. The call of Christ, his baptism, sets the Christian in the middle of the daily arena against sin and the devil. Every day he encounters new temptations, and every day he must suffer anew for Jesus Christ’s sake. The wounds and scars he receives in the fray are living tokens of this participation in the cross of his Lord. But there is another kind of suffering and shame which the Christian is not spared. While it is true that only the sufferings of Christ are a means of atonement, yet since he has suffered for and borne the sins of the whole world and shares with his disciples the fruits of his passion, the Christian also has to undergo temptation, he too has to bear the sins of others; he too must bear their shame and be driven like a scapegoat from the gate of the city. But he would certainly break down under this burden, but for the support of him who bore the sins of all. The passion of Christ strengthens him to overcome the sins of others by forgiving them. He becomes the bearer of other men’s burdens – ‘Bear ye one another’s burdens, and so fulfill the law of Christ’ (Gal. 6.2). As Christ bears our burdens, so we ought to bear the burdens of our fellow-men. The law of Christ, which it is our duty to fulfil, is the bearing of the cross. My brother’s burden which I must bear is not only his outward lot, his natural characteristics and gifts, but quite literally his sin. And the only way to bear that sin is by forgiving it in the power of the cross of Christ in which I now share. Thus the call to follow Christ always means a call to share the work of forgiving men their sins. Forgiveness is the Chrislike suffering which it is the Christian’s duty to bear. But how is the disciple to know what kind of cross is meant for him? He will soon find out as he begins to follow his Lord and to share his life. Suffering, then, is the badge of true discipleship. The disciple is not above his master. Following Christ means passio passive, suffering because we have to suffer. That is why Luther reckoned suffering among the marks of the true Church, and one of the memoranda drawn up in preparation for the Augsburg Confession similarly defines the Church as the community of those ‘who are persecuted and martyred for the gospel’s sake’. If we refuse to take up our cross and submit to suffering and rejection at the hands of men, we forfeit our fellowship with Christ and have ceased to follow Him. But if we lose our lives in his service and carry our cross, we shall find our lives again in the fellowship of the cross with Christ. The opposite of discipleship is to be ashamed of Christ and his cross and all the offense which the cross brings in its train. When C.S. Lewis lost his wife he wrote at one point in his anguish: ‘Talk to me about the truth of religion and I’ll gladly listen. Talk to me about the duty of religion and I’ll listen submissively. But don’t come talking to me about the consolations of religion or I shall suspect that you don’t understand’ (A Grief Observed, 23). And yet the task of providing consolation has always been a significant part of the work of a pastor. It is, in many ways, a task among the most difficult for the pastor. It is difficult because questions of suffering involve us in the depths of our humanity. And it is difficult because mere human words have no answer to the mystery of suffering. Or even, just embrace. Not even the best of words can take away the pain. What words can do is testify that there is more than pain in our journey on earth to a new day. Of those things that are more, the greatest is love. Express your love. How appallingly grim must be the death of a child in the absence of love. But please: Don’t say it’s not really so bad. Because it is. Death is awful, demonic. If you think your task as comforter is to tell me that really, all things considered, it’s not so bad, you do not sit with me in my grief but place yourself off in the distance away from me. Over there, you are of no help. What I need to hear from you is that you recognize how painful it is. I need to hear from you that you are with me in my desperation. To comfort me, you have to come close. Come sit beside me on my mourning bench. I know: People do sometimes think things are more awful than they really are. Such people need to be corrected-gently, eventually. But no one thinks death is more awful than it is. It’s those who think it’s not so bad that need correcting. Some say nothing because they find the topic too painful for themselves. They fear they will break down. So they put on a brave face and lid their feelings-never reflecting, I suppose, that this adds new pain to the sorrow of their suffering friends. Your tears are salve on our wound, your silence is salt. ‘Someone said to Claire, “I hope you’re learning to live at peace with Eric’s death.” Peace, shalom, salaam. Shalom is the fulness of life in all dimensions. Shalom is dwelling in justice and delight with God, with neighbor, with oneself, in nature. Death is shalom’s mortal enemy. Death is demonic. We cannot live at peace with death. participate in God’s cruciform life by suffering with those who suffer and working to relieve and eliminate suffering. Such cruciformity constitutes the ethical dimension of the theology of the cross found throughout the NT and the Christian tradition. 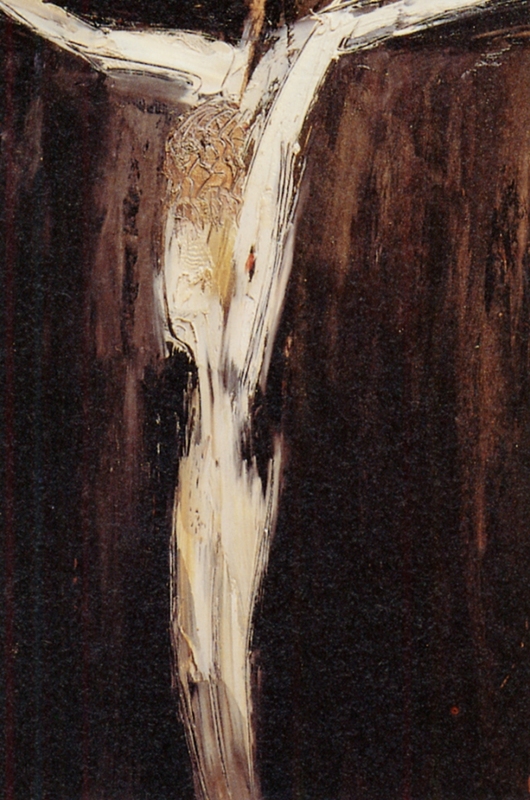 Paradoxically, because the living Christ remains the crucified one, cruciformity is Spirit-enabled conformity to the indwelling crucified and resurrected Christ. It is the ministry of the living Christ, who re-shapes all relationships and responsibilities to express the self-giving, life-giving love of God that was displayed on the cross. Although cruciformity often includes suffering, at its heart cruciformity – like the cross – is about faithfulness and love. Many of those who have suffered devastating grief or dehumanising pain have, at some point, been confronted by near relatives of Job’s miserable comforters, who come with their clichés and tired, pious mouthings. These relatives engender guilt where they should be administering balm, and utter solemn truths where their lips ought to be conduits of compassion. They talk about being strong and courageous when they should just shut and weep … and pray to the God ‘who comforts the downcast’ (2 Cor 7.6), who is the ‘God of all comfort’ (2 Cor 1.3), who intercedes for us both when we can articulate what we want to say and when all we have are groans, and to whom not even death represents the end. But there is a further posture that we are invited, by God, to maintain. And that is the posture of protest prayer. I am reminded here of Karl Barth’s statement, that ‘to clasp hands in prayer is the beginning of an uprising against the disorder of the world’ (cited in John W. de Gruchy, Cry Justice: Prayers, Meditations, & Readings from South Africa, 23). A Christian response to evil is not theodicy, but struggle – the struggle of taking God’s side against the world’s disorder, and of refusing to treat evil as an acceptable part of a larger harmonious vision. Only to the extent that we can confess that nothingness has been vanquished in the self-nihilation of Christ, and met with, struggled with, and overcome may we say that we ‘know’ something of sin and evil’s reality, and be able to speak hopefully of its end. Finally, for now, the continuity/discontinuity of Jesus’ resurrection provides the ontological basis for Christian hope, promising that of whatever post-resurrection life consists, it is hope in something other than endless continuity. And as meaningful as life’s plots and subplots might be, it is the end (and the more improbable the better) that confers meaning on the whole. It is to bear witness to this end that pastors labour. I spent some time today trying to chase up the music for three hymns, the lyrics of which were all authored by Dietrich Bonhoeffer. The first one was ‘In boundless mercy God has called’. Apparently this is in The Hymnal of the United Church of Christ #118, but I’ve had no success in hunting it down. Does anyone have a copy of this? Or does it appear anywhere else? The second hymn was ‘O Lord my God, I thank thee that thou hast brought this day to its close’. Again, I’ve hit a dead end with this one. Can anyone help me out? — Dietrich Bonhoeffer, Letters and Papers from Prison (ed. Eberhard Bethge; trans. Reginald H. Fuller; London: SCM Press, 1954), 167–8. I sourced music for this poem from two places: Together in Song, Australian Hymn Book II #240 (which also includes Bonhoeffer’s more well-known hymn ‘By gracious powers so wonderfully sheltered’, #617), and the Church Hymnary, Fourth Edition #393. This is available in both full music and words edition or melody and words edition. for mercy, for them sinning, sick or dead. We all do so in faith or unbelief. whelmed under weight of evil, weak or dead. We stand by God then, in his hour of grief. body and spirit feeds us with his bread. forgiven life he gives all through his death. all people do, in faith or unbelief. faith stands by God in his dark hour of grief. through his forgiveness sin will find relief. Robert Frost was right: ‘Poetry is what is lost in translation’. In a fascinating collection of personal papers and essays on public theology penned against the backdrop of the Vietnam War, and titled The Pseudonyms of God, Robert McAfee Brown invites us to imagine finding ourselves in a place where we are waiting for some tremendous manifestation of God’s activity. He invites us to imagine a situation where we have heard – or thought we had heard – a promise that God would intervene in our human situation, and that it was now clear that the time was at hand. Where would we look for God? Contemporaries ought not to be surprised to find the outcast – and the outcasted – God among the outcast. We must look for signs of the Servant God’s presence among those who serve. Numbered among an oppressed minority, we must expect to hear the echo of God’s voice among those who are oppressed. The pieta-like image above recalls that since 800 million of the planet’s people suffer from hunger and malnutrition, we might well expect that God’s availability is made tangible in loaves and fishes, rice and safe drinking water. Since God’s identification with the world involves God’s becoming creaturely, we ought look for God not only in ‘holy’ places or by means of ‘holy’ words, but we will look for God also in the very common, ordinary things of life, in the well over 500 million people who are living in what the World Bank has called ‘absolute poverty’, and in all those gathered up in the one great movement of divine kenosis-plerosis. ‘We will not be surprised to discover’, Brown writes, ‘that [God] suffered also, nor will we flinch when Bonhoeffer pronounces the initially disturbing words, “Only the suffering God can help,” even though it is probably the ultimate in the pseudonymous activity of God that he could be acquainted with grief’ (p. 86). The servant-form is no mere outer garment, and therefore God must suffer all things, endure all things, make experience of all things. He must suffer hunger in the desert, he must thirst in the time of his agony, he must be forsaken in death, absolutely like the humblest – behold the man! His suffering is not that of his death, but his entire life is a story of suffering; and it is love that suffers, the love which gives all is itself in want (pp. 86–7). Truly, in the economy of holy love, the locus of greatest clarity equates to the point of greatest incongruity and surprise. Jesus is God’s grand pseudonym, the supreme instance of God acting in ways contrary to our expectation, the point at which we are offered the criterion in terms of which the action of God elsewhere can be measured. And so if we miss God’s presence in the world, it will not be because God is absent. It will be because we have been looking in the wrong places. Christ was Himself the diakonos par excellence whose office it was not only to prompt the people of God in their response to the divine mercy and to be merciful themselves, not only to stand out as the perfect model or example of compassionate service to the needy and distressed, but to provide in Himself and in His own deeds of mercy the creative ground and source of all such diakonia. He was able to do that because in Him God Himself condescended to share with men their misery and distress, absorbed the sharpness of their hurt and suffering into Himself, and poured Himself out in infinite love to relieve their need, and He remains able to do that because He is Himself the outgoing of the innermost Being of God toward men in active sympathy and compassion, the boundless mercy of God at work in human existence, unlimited in His capacity to deliver them out of all their troubles. – Thomas F. Torrance, ‘Service in Jesus Christ’ in Theological Foundations for Ministry: Selected Readings for a Theology of the Church in Ministry (ed. Ray S. Anderson; Edinburgh/Grand Rapids: T&T Clark/Wm. 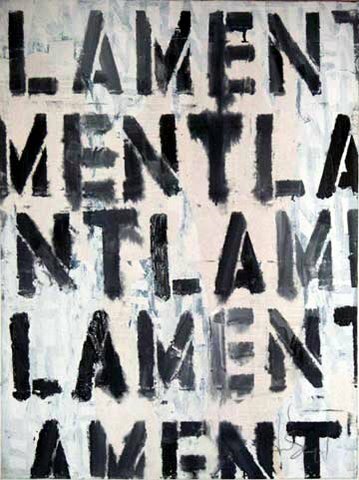 B. Eerdmans, 1979), 718. Where there is community there is leadership … The group is the womb of the Leader. It gives him everything, even his authority. It is his person to which all the authority, all the honour and all the glory of the group is transferred. The Leader holds no office independent of the group. The group expects the Leader who derives from the group in this way to be the bodily incorporation of its ideal. This task, impossible in itself, is made easier for the Leader by the fact that the group which produced him now sees him already bathed completely in the light of its ideals. It sees him, not in his reality but in his vocation. It is essential for the image of the Leader that the group does not see the face of the one who goes before, but sees him only from behind as the figure stepping out ahead. His humanity is veiled in his Leader’s form … The Leader is what no other person can be, an individual, a personality. The relationship between those led and their leader is that the former transfer their own rights to him. It is this one form of collectivism which turns into intensified individualism. For that reason, the true concept of community, which rests on responsibility, on the recognition that individuals belong responsibly one to another, finds no fulfillment here. – Dietrich Bonhoeffer, ‘The Nazi Rise to Power’ in No Rusty Swords: Letters, Lectures and Notes from the Collected Works (ed. John Bowden; London: Collins, 1970), 191, 192, 195. Now I really need to get back to my reading on Celtic Christianity … some of us have lectures to prepare. [The] structure of responsible action includes both readiness to accept guilt and freedom. When we once more turn our attention to the origin of all responsibility it becomes clear to us what we are to understand by acceptance of guilt. Jesus is not concerned with the proclamation and realization of new ethical ideals; He is not concerned with Himself being good (Matt. 19.17); He is concerned solely with love for the real man, and for that reason He is able to enter into the fellowship of the guilt of men and to take the burden of their guilt upon Himself. Jesus does not desire to be regarded as the only perfect one at the expense of men; He does not desire to look down on mankind as the only guiltless one while mankind goes to its ruin under the weight of its guilt; He does not wish that some idea of a new man should triumph amid the wreckage of a humanity whose guilt has destroyed it. He does not wish to acquit Himself of the guilt under which men die. A love which left man alone in his guilt would not be love for the real man. As one who acts responsibly in the historical existence of men Jesus becomes guilty. It must be emphasized that it is solely His love which makes Him incur guilt. From His selfless love, from His freedom from sin, Jesus enters into the guilt of men and takes this guilt upon Himself. Freedom from sin and the question of guilt are inseparable in Him. It is as the one who is without sin that Jesus takes upon Himself the guilt of His brothers, and it is under the burden of this guilt that He shows Himself to be without sin. In this Jesus Christ, who is guilty without sin, lies the origin of every action of responsible deputyship. If it is responsible action, if it is action which is concerned solely and entirely with the other man, if it arises from selfless love for the real man who is our brother, then, precisely because this is so, it cannot wish to shun the fellowship of human guilt. Jesus took upon Himself the guilt of all men, and for that reason every man who acts responsibly becomes guilty. 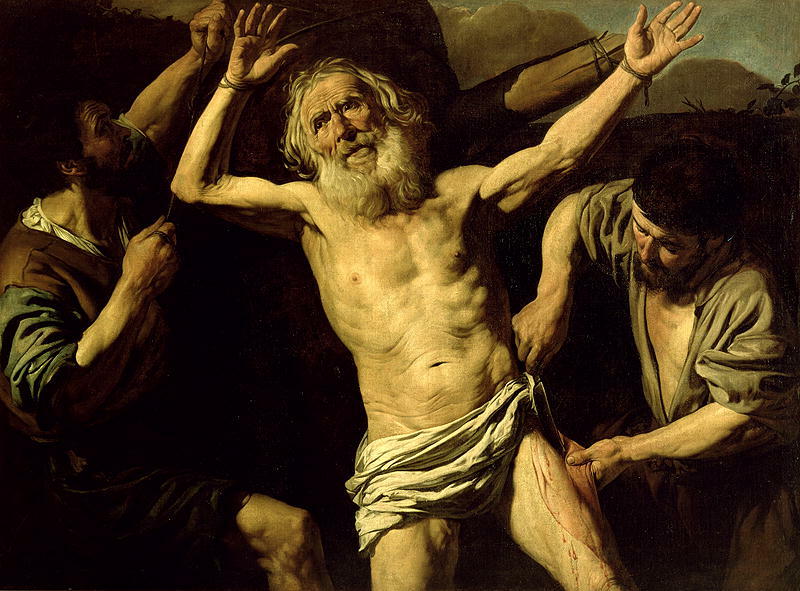 If any man tries to escape guilt in responsibility he detaches himself from the ultimate reality of human existence, and what is more he cuts himself off from the redeeming mystery of Christ’s bearing guilt without sin and he has no share in the divine justification which lies upon this event. He sets his own personal innocence above his responsibility for men, and he is blind to the more irredeemable guilt which he incurs precisely in this; he is blind also to the fact that real innocence shows itself precisely in a man’s entering into the fellowship of guilt for the sake of other men. Through Jesus Christ it becomes an essential part of responsible action that the man who is without sin loves selflessly and for that reason incurs guilt. – Dietrich Bonhoeffer, Ethics (ed. Eberhard Bethge; trans. N.H. Smith; London: SCM, 1955), 209–10. This got me thinking: What might be some implications of Moses’ prayer, and Bonhoeffer’s words, for pastoral ministry? And for that of the people of God as a whole? Baptism is both God’s sign to humanity that we have been redeemed by Christ, and humanity’s sign to God that we are willing partners in God’s work of reconciliation. Baptism, in other words, finds its basis in the hypostatic union through which God draws near to humanity and humanity draws near to God. Jesus Christ is the one mediator between God and humanity. It is the prius of the divine ecomony in the incarnation that baptism testifies chiefly to, and not to any subjective attainment of our confession, which might change. To put it another way, baptism is nothing less than our participation in the full and vicarious humanity of the Son of God. Formation comes only by being drawn into the life of Jesus Christ. It comes only as formation in His likeness, as conformation with the unique form of Him who was made man, was crucified and rose again. This is not achieved by dint of efforts ‘to become like Jesus’ … It is achieved only when the form of Jesus Christ himself works upon us in such a manner that moulds our form in its own likeness (Gal 4.19). It is not Christian men who shape the world with their ideas, but it is Christ who shapes men in conformity with Himself. – Dietrich Bonhoeffer, Ethics (ed. Eberhard Bethge; trans. N.H. Smith; London: SCM, 1955), 18. 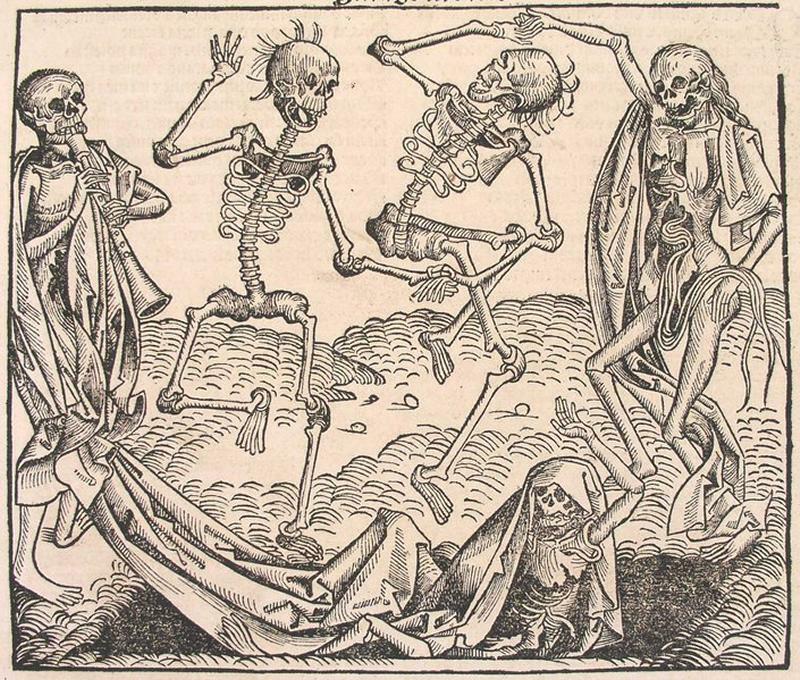 Gabriel Fackre posts on Time in Eternity: the Lively Life to Come. 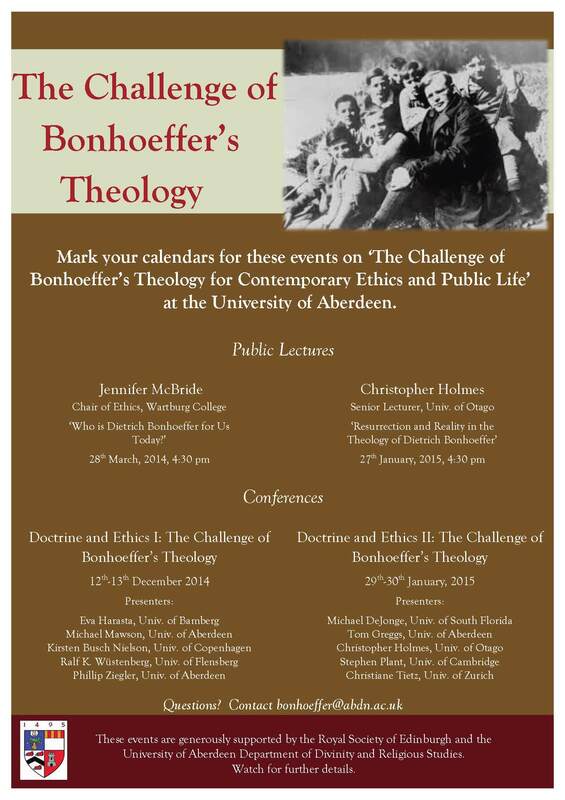 A timely challenge by Andrew Hamilton by way of a reconsideration of Bonhoeffer’s ethics. Byron Smith offers some thoughts on Rowan Williams ‘two styles of Anglicanism. And Halden shares two great quotes from Jacques Ellul’s Hope in Time of Abandonment: on prayer and on hope and apocalyptic. Steve Holmes asks What is evangelism? 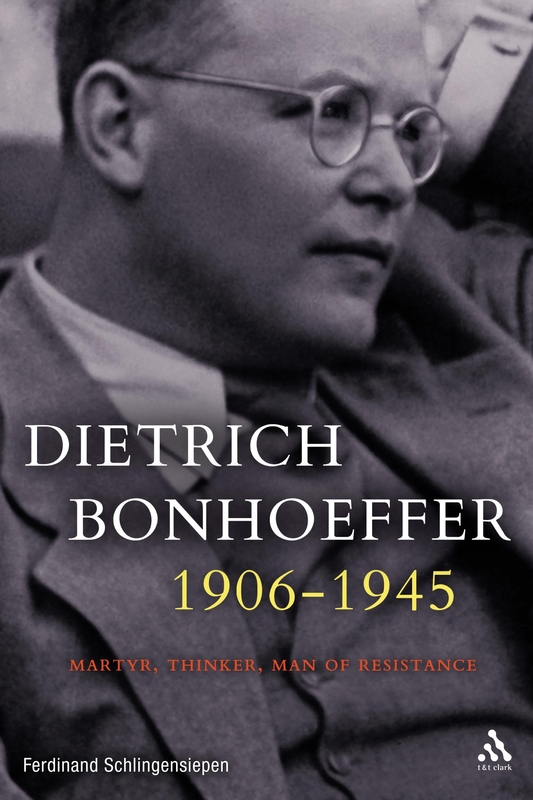 A wonderful excerpt from a new biography on Dietrich Bonhoeffer. 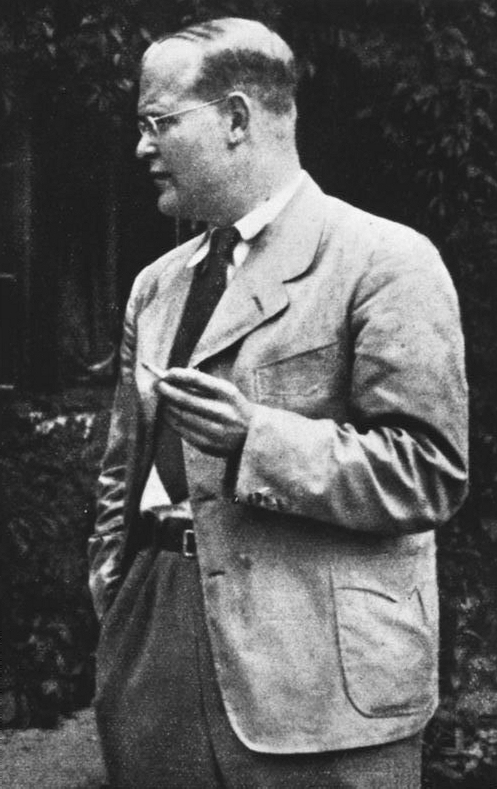 Dietrich Bonhoeffer 1906-1945. Martyr, Thinker, Man of Resistance is on its way in October. How awesome is that!